Though sales may not have suffered, marketshare is clearly slipping. 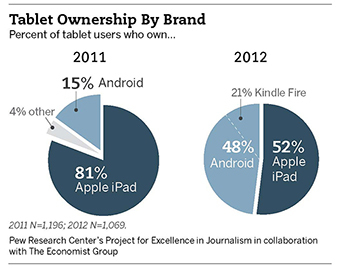 And with tablet adoption growing by leaps and bounds recently, there’s a lot to potentially lose here. According to The Economist’s Leanback 2.0 blog, one in four adults in the U.S. is now a tablet owner, and two-thirds got them in the past year. These numbers alone are headturners, and they don’t even account for Google’s Nexus 7, Amazon’s latest Kindle Fire HD devices, Barnes and Noble’s new Nook or the upcoming Microsoft Surface. With so much of the competition revolving around 7-inchers, it’s practically a given that Apple would have to attack the forces eating away at its hold on the market head on. And you know what that means — the 7.85-inch iPad Mini is practically a lock. Luckily, we don’t have long to wait to find out, as manufacturing has reportedly already begun, and the product announcement is expected this month. So really only two questions remain now: Will it go for the industry-standard price point of $199? 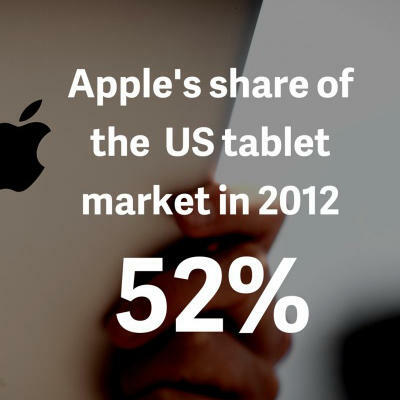 And if so, will that help iPad sales or cannibalize them? 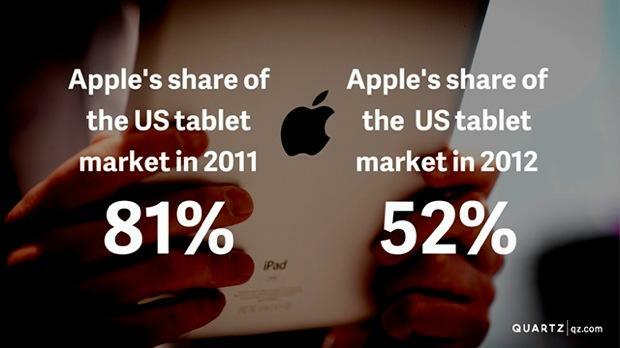 That all depends on if the Mini attracts would-be tablet owners who are sitting on the fence, or takes sales from customers who were already sold on the iPad experience. That’s a tougher question than it seems. Based on price alone, the Mini would definitely come in as the more affordable choice over the 9.7-inch model. But to achieve that, the compact device will likely forego certain things, like a Retina Display. Tablet hopefuls, weigh in: What are your purchasing plans? Are you going with an iPad Mini, holding out for the next-gen 9.7-inch iPad or bypassing an iPad and picking up a competitor instead?